At the moment there are not many anglers around, most the the ones i know will start to visit NZ in November and onwards. So i have not too much big and little fish gossip. Oh i did see a photo of a nice Oreti big brown and it was in cracking condition it was caught on one of my big heavy NZ mayfly bombs in a deep pool . 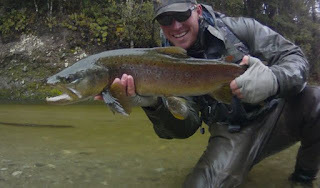 A few 4-5lb trout caught in spring creeks by a Queenstown guides client which is great that he managed to pull it off and find some clear water the other day. (no i,m not telling you where he was). STORM HITS ATHOL- HAVE I PAID MY INSURANCE!! As i write this the power has just gone out in the house and i have been rushing around in the garden trying to put anything that can get blown to Australia in to the shed. I have even had to chase a few of my signs around the garden as the wind has ripped some off the fence- it must be blowing through Athol at well over 150klm when it gets going, Looking at the sky it looks like a big storm is working its way inland. In fact its trying to rip the roof off my house and its kind of scary! I,m know thinking - have i paid my house and shop insurance! A few reports of some of the rainbow rivers that are open are that there are plenty of fish to be caught ,but they are still quite spent (skinny) after spawning. It usually takes until mid December before these rainbows start to put on weight . A few people have been telling me that they have already started to see green manuka beetles in the fiordland area. No reports on plagues of mice, but some of the local spin guys have been catching big trout in the evening further south. These guys fish every year with big floating mice and get results, even when there in no real mouse plague. So its always worth an evening fish ,if you want to catch the daddy! 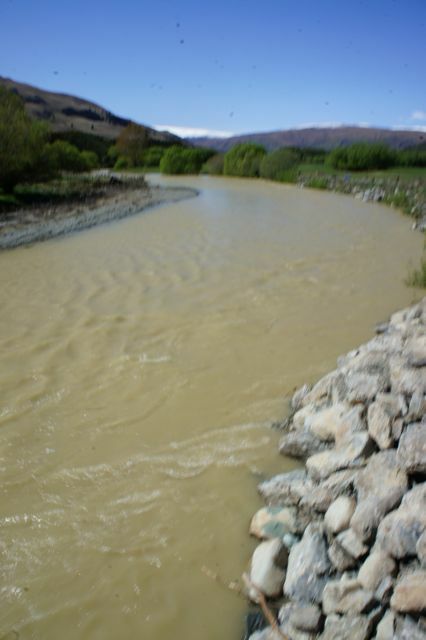 The Mataura river and many other rivers in the area are just starting to clear after the two days of heavy rain last week, that turned every piece of water around into brown soup. But what that does mean is that nobody has been able to fish most of the river systems for the past week and when they stat clearing the fish will all be active. This is when you can use larger sized nymphs so that the fish can see your offering easier. I like using double nymph rigs with a NZ mayfly bomb and a size 14 pogo or king pogo as the trailing nymph. 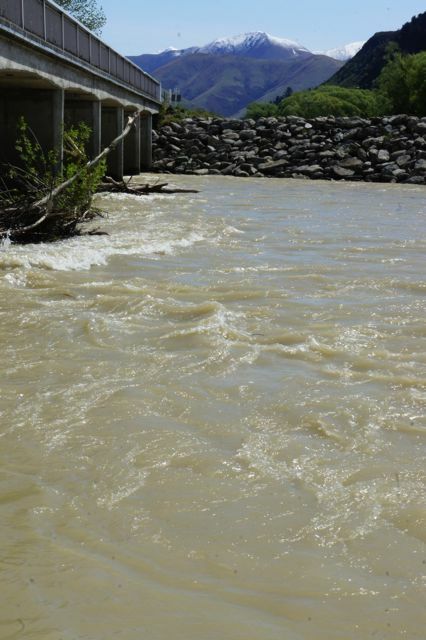 Since i started to write this Blog- last night in the storm the rains came and now this afternoon they are here again- and YES the rivers are rising and are coffee in color- If you are a traveling fisherman or lady- find some lakes! 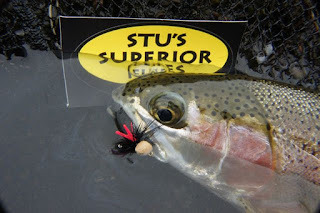 These are Serious flies for serious fish! check the hooks!! 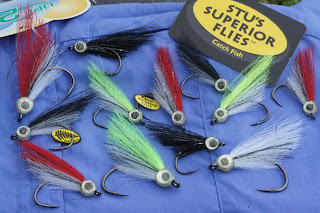 Now available online are some my new range of salt water flies - Stu,s Crystal bait fish - in size 1/0 - 3/0 - 6/0 Yes these are serious flies and on Serious Tiemco super strong Black nickel hooks. The smaller sizes will be great for estuary sea run fish ,kawhai and Tuna etc, The next size up the 3/0 will become a favorite for Snapper and the bigger 6/0 will be for the guys who like catching Big strong fish like King fish etc..
All of these saltwater bait fish designs will also be good for people who like to jig flies for blue cod etc. Please note that there are a few people claiming to sell my flies and my Superior brand! Do not be fooled by these scoundrels ,they just want to rip you off as well as my hard work! !- do not trust them! well you can if you want too!! 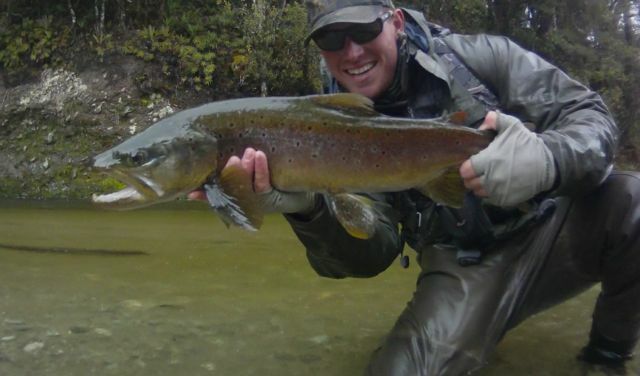 Big wild NZ brown trout- Dylan a man on a mission!! 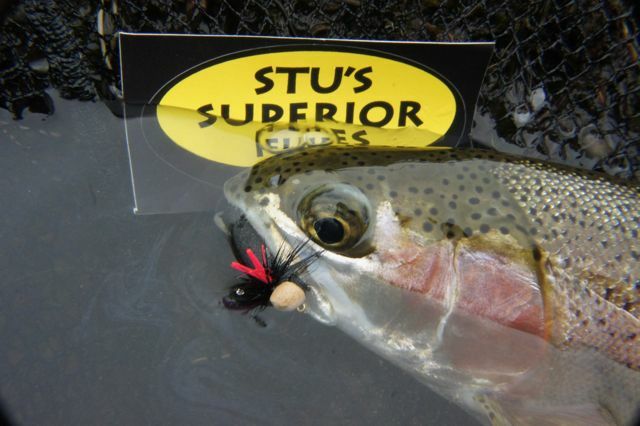 Dylan- nails a bunch of little NZ Brown trout using Stu's Superior Flies- He knows the importance of good fly designs and hooks!! mind you sometimes i think he uses bait- or he is just a good fly fisher! !